The entertainment is a CRUCIAL aspect of a party. 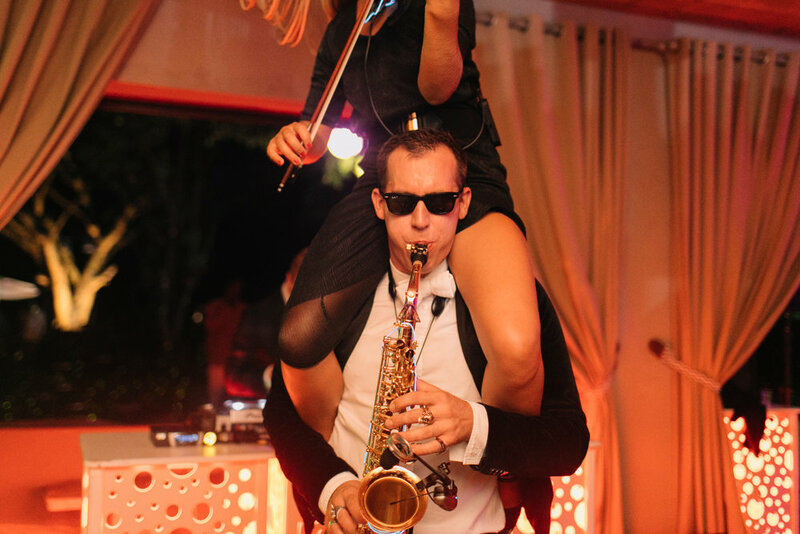 Great music and live musicians can transform the energy in the room from happy mingling to the best time of your life. It is often left to the end of the planning process, but I would encourage anyone organising an event to keep this in mind from the very start. Live acoustic roaming bands are popular for receptions and more casual meals. Then to jazz things up, I think there's nothing better than a live saxophonist or violinist (or both!) to play along with an excellent DJ.